A Jan. 2017 national survey conducted by the National Association of Colleges and Employers (NACE) projects significant increases in starting salaries for 2017 social sciences and communication graduates. NACE predicts that employers will now pay a national average of $51,925 per year for fresh communication graduates starting in related professions – up 10 percent compared to last year’s projection. In the article, Gallo also explains that public speaking is essentially pitching an idea to convince or persuade your audience – or potential customer. Public speaking, while important as Buffet suggests, is just one of many important skills that a communication degree offers. 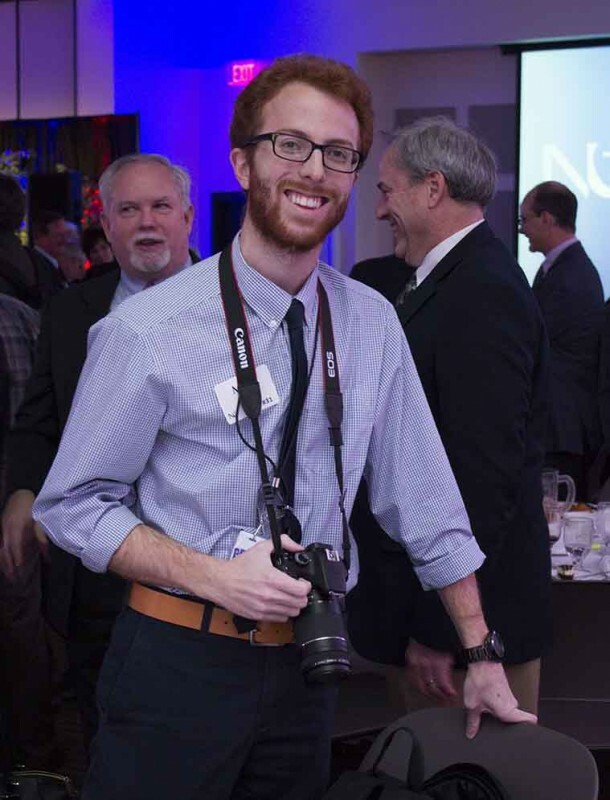 The Newman University Communication program has produced several students who have recently graduated and are now working in highly sought-after positions. Matt Riedl ’15 – Staff Writer – Wichita Eagle, Wichita, Kan.
Ellen Healy ’16 – Staff Writer – LogoLounge.com, Wichita, Kan.
Tyler Nordman ’11 -Director of Student Life – Highland Community College – Highland, Kan. The faculty of the Newman University Communication program work on a personal level with students to equip them with the skills they need to prepare them for a successful career after college. 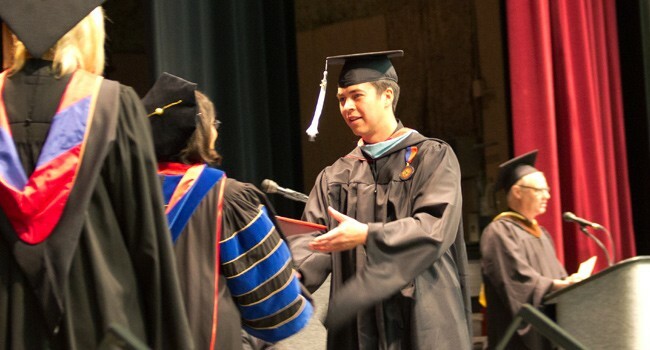 Each of the faculty exemplify the Newman University Mission on and off campus by being deeply rooted in the Wichita community. Serves on the Board of Directors for Step Stone and Dear Neighbor Ministries. 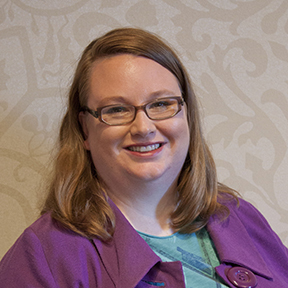 Serves as chair on the Training Committee for the Junior League of Wichita, where she has been asked to develop their leadership training curriculum. Berg enjoys writing – a lot. She has written many scholarly articles and has been published in many national journals. She has also extensively traveled the country to present her research. Currently, she is busy working on two writing projects. The first is an essay on John Oliver’s Last Week Tonight and how he uses satire to mobilize what we call a digital counterpublic, an activist community that enacts social change via the Internet. The second is an essay for a special edition of the Journal of Contemporary Rhetoric on Remix and Rhetoric. This project goes behind the scenes of media pirating platforms to study how creators are releasing “cracked” versions of their content in a strategy to combat pirated media. Serves as a volunteer at the Wichita Area Sexual Assault Center where she works with her students to develop a bystander training program for Newman students and community members to know to respond to blatant and casual racism and sexism. Wilkerson is heavily involved in helping others in the Wichita community succeed in their entrepreneurial efforts. 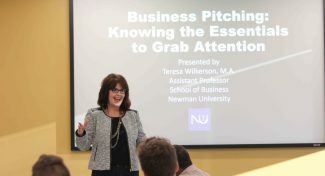 Many of the entrepreneurs she has mentored have gone on and applied these skills by pitching their business proposals to venture capitalists with each raising over $20,000 for their companies. Two men Wilkerson had coached, Trevor Crotts of BuddyRest and Miguel Johns with KingFit, were selected to present to Daymond John of the television show, “Shark Tank”. Her role has been to work with each of the individuals who were selected to participate and coach them in professional presentation, public speaking and business pitching. Mentor and Public Presentation / Speech Coach for programs sponsored by the Wichita Area Chamber of Commerce’s Leadership Council’s Entrepreneurial Task Force including: e2e accelerator program, Socialprenuer Lab, Innovation U, and Camp Destination Innovation.